It was a grueling week as the side bars and objections dominated the court room. As noted before, potential jurors were being dismissed at an alarming rate as they stood by their beliefs in California Medical Marijuana Laws. One juror mentioned her understanding of ‘jury nullification’ and the prosecution objected and the courtroom was cleared as an angry judge and prosecutor blamed defense lawyers for the juror’s unexpected mention of the taboo nullification theory. Finally a jury was empanelled and sworn in, this was the official start of the trial. Next Judge Wu spent considerable time deciding whether the defense’s sealed documents describing Lynch’s legal defense strategy would have to be revealed to the prosecutor. As the court room waited in stressful anticipation, the Judge finally decided he would allow the details of the defense to be under seal but the general concept would have to be revealed to the prosecution. As Judge Wu explained that Lynch would be allowed to argue a defense of Entrapment by Estoppel by a Federal official, the prosecutors fumed and demanded more information. Judge Wu calmly overruled the objections. Judge Wu also ruled that if at some point that it appears Lynch’s defense is not reasonable at that time the Jury would be directed not to consider the evidence in their proceedings. He also explained to the prosecution that the evidence before him was compelling and mentioned the prosecutors should consider a plea deal. Prosecutors mentioned that a plea deal had been offered but was refused by Lynch. Lynch had refused the plea deal as it turned him into a felon, put him at jeopardy of zero to twenty years in jail and zero to 4 million dollars in fines. Finally after a flurry of more side bars and objections the indictment was read to the jury and opening statements commenced. The government during their opening statement depicted Lynch as a Drug King Pin selling to minors making millions of dollars. Under Federal Law anybody under 21 is considered a minor. They also alleged a conspiracy by a former employee of the dispensary who had apparently sold to undercover agents outside of the dispensary. The defense on the other hand talked of Lynch’s Law Abidingness and clean criminal history. At one point during the Defense’s opening statement, Reuven Cohen, Lynch’s Federal Public Defender wrote four telephone numbers down on a white board before the jury and told them that Charles Lynch will testify that in October 2005 before he opened a Marijuana Dispensary he called the United States Drug Enforcement Agency and that there were documents in the hundreds of pages of discovery provided to the government that would prove this. Prosecutors objected and another side bar ensued. Finally the defense completed its opening statements and the jury was removed from the courtroom again as prosecutors stood in anger and dismay at the surprise announcement of the defense. Prosecutors demanded more information but the defense attorneys refused to assist the prosecutor in his paralegal tasks. At one point the prosecutor boiled over and it nearly turned into a physical brawl as the prosecutor demanded the defense attorneys tell him where the supporting documents were located in the discovery. Defense attorneys refused and eventually the judge gave the prosecutor one page from the sealed documents that contained the telephone records of Charles Lynch’s home phone from where he called the DEA. The DEA agent in the court room, Rachel Burkdoll, scrambled for reception on her Blackberry cell phone to call the numbers on Lynch’s telephone statement. The prosecution finally started calling in witnesses and began with San Luis Obispo County Sheriff’s Deputies testifying of their surveillance of the facility and patients of the dispensary. They talked about informants that became members of the dispensary and how they were provided medical cannabis and plants from the dispensary. They submitted as evidence photographs of the business location in Downtown Morro Bay and packaging and products they received from the dispensary. They also submitted a recording of an undercover sting operation relating to one of Lynch’s employees which contained explicit and derogatory statements made towards women by the informant. On cross examination Defense Attorney John Littrell questioned the SLO Sheriffs deputies who stumbled on questions as to their jurisdiction in the City of Morro Bay and to other details of their allegations. At one point Littrell used the overhead projector to zoom in on the prosecution’s evidence photo of products received from the dispensary and it clearly showed the statement “For Medical Use only”. As the jury looked at the big screen TV before them Littrell pointed to the words “For Medical Use Only” and asked the Sheriff’s Deputy if he could read what that said. Prosecutors blew their top objecting and the Judge cleared the court of the Jury and ordered a side bar. While the jury cleared the room the prosecutor quickly approached the projector and violently pulled the evidence photo from the screen. Littrell demanded the photo had already been placed into evidence and to be left as it was. The prosecutor pulled the paper from the projection and put it back on his desk. At the side bar Defense attorneys were angrily reminded that “Medical Marijuana” is not allowed as a defense in Federal Court and any further references to “Medical Marijuana” and sanctions would be imposed. Also during the proceedings DEA agent Burkdoll was reprimanded by the judge for parading around in front of the jury with a large box of marijuana that had yet to be submitted as evidence. The prosecution’s side of the court room remained empty for the most part with an occasional United States Marshal Court Room attendant taking a short break from the proceedings. This was certainly a surprise to Lynch as he thought the federal government didn’t see any medicinal purpose for the use of marijuana, yet they have a patent on it? Lynch’s attorneys confirmed this information and will comment on the discovery in the near future. Before deliberations started today the prosecutor demanded the jury be queried regarding the article in the LA Times on Saturday. The judge agreed and asked the jury if anybody saw the article or read it. Two juror’s raised their hands and they were led off to a side bar to talk with the attorneys, the judge and the prosecutor. Both jurors said they saw the article but did not read it as they knew it was about the case. The judge said ok and the case continued on. One interesting note for the day is that Lynch was now being allowed to accompany his attorneys to side bars with the judge. Side bars are essentially when the Defense Attorneys, the Prosecutor and the Judge meet on the side of the Judges desk and discuss items on the record that they don’t want the jury to hear. Lynch stood right next to the judge during the side bars and will continue to do so throughout the remaining of the trial. Also today the prosecution continued its case against Lynch by bringing in more and more Sheriff’s deputies and detectives from the San Luis Obispo County Sheriff’s Department. One officer, John Blank, had infiltrated the dispensary and had a fake driver’s license and a real doctor’s recommendation issued to the fake name. The prosecutors inadvertently opened the door to cross examine the informant on how he got into the dispensary using his ‘physicians statement’, his fake id and lying when he filled out membership and caregiver agreement forms. The jury also heard how the informant tried bringing in an underage 17 year old without the proper paper work and he was denied access. Just a friendly reminder that local law enforcement are sworn in to uphold state law, not federal law. Also it seemed unfair that Lynch cannot mention state law yet here we have state officers who are testifying against him in federal court. Other Sheriff’s deputies and detectives mentioned how they had been casing the place writing down patients license plate numbers and videotaping them. Also the Sheriff’s talked about how they followed people around trying to widen a sort of ‘conspiracy’ case against Lynch. They also talked about a giant white bag that Lynch would carry out of the shop every two days which if they would have checked they would have found recycled cans from the dispensary Lynch transported to his house. Also they talked about a giant box that Lynch moved into the dispensary one day which if they had asked they would have probably found a security system he was working on. Also they talked about an employee who went to the post office one day with a box which if they had seized it they would have found a defective hard drive USB case that was being returned. Two DEA agents testified against Lynch namely Special Agent Burkdoll and Special Agent La Rock. Burkdoll talked about the dispensary and showed pictures of ‘the marijuana’, ‘the board’ and the ‘marijuana plants’. La Rock talked about the back pack that Lynch carried around that was ‘stuffed with cash’ and the small amount of medication he had at his house. The prosecutor showed a picture of Lynch’s house and check book trying to make it look like he was living the life of the Rich and Famous. Lynch has owned the house he has been living in for 4-5 years before he even opened the dispensary. Tomorrow, Tuesday July 29, 2008 it is thought the prosecutor will end their case and Lynch will begin his defense. Lynch will be testifying and the defense will have some supporters who will be testifying on his behalf. Lynch was mum on the details of his testimony as even the prosecutors don’t know what the defense has planned. Lynch’s Attorneys did a fantastic job in managing the expectations of the court and in cross examining the government’s witnesses. Also members of the community and media were there in support of Lynch. As the prosecution depicted Charles C. Lynch as a drug king pin dispensing marijuana and marijuana plants to minors a 5.4 magnitude earthquake shook the Federal Court House building. Under Federal Law any person under the age of 21 is considered a minor. Lynch was told by the City of Morro Bay that no one under the age of 18 was to be in the dispensary unless accompanied by a parent. As the building shook and swayed jurors, attorneys, members of the audience and the defendant watched and waited to see if the building would come tumbling down. But the building held strong and the prosecution continued its persecution of Lynch as if nothing had happened. A message came over the PA system stating ‘An earthquake has occurred please stay away from glass’. DEA agent Burkdoll and the federal government continued by disclosing patient names and pictures as the defense team objected on the basis of HIPAA laws. The defense was overruled and continued objecting to no avail as video and DMV driver’s licenses of select patients were put on display. Almost all the evidence against Lynch came from the well kept records of the dispensary and from the video surveillance cameras of the dispensary. A break in the conundrum came as the defense called a character witness out of order because he had to be at a doctor’s appointment and could not appear at any other time. As Owen Beck took the stand prosecutors began objecting immediately as they had tried not to have ‘sick looking’ people testify. Owen is a cancer patient who recently had his leg amputated to battle the disease but has recovered nicely considering and was looking quite handsome. As Owen stated he was a cancer patient and found the use of medical marijuana useful in his battle the prosecution again violently objected and the jury was immediately rushed from the court room. Defense attorneys tried to indicate that Owen was trying to testify on Lynch’s law abidingness and how he had to follow rules related to the dispensary. The prosecution argued that the defense was trying to impact the jury and the judge eventually ruled that Owen’s statements be stricken from the record and the jury was told to disregard his brief testimony. As the jurors yawned and battled staying awake the prosecution continued its very detailed and repetitive depiction of ‘young healthy males’ who frequented the dispensary on a regular basis. 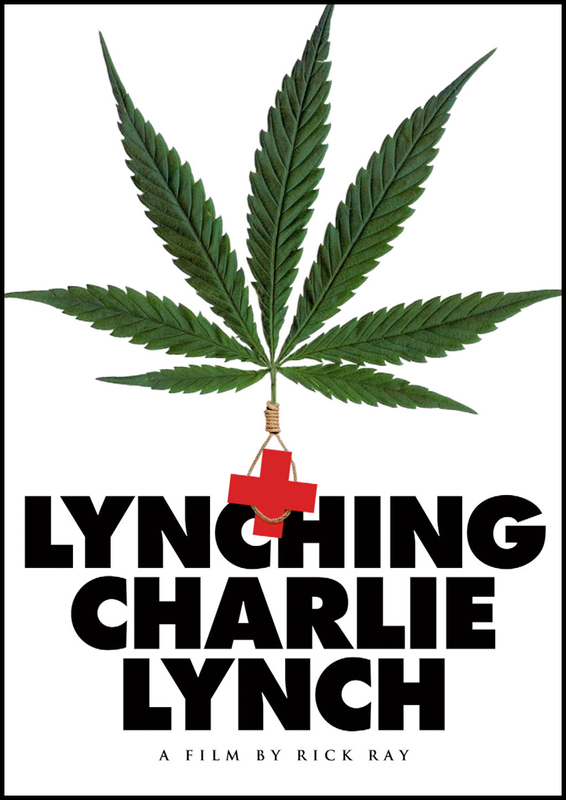 They also continued with subtle messages to the jury indicating Lynch was making millions of dollars at the dispensary noting only the gross proceeds of the business and admitted to never adding up the business expenses which would have included vendor, employee and many other expenses and would have depicted a much different situation. As the day ended the prosecution again attempted to block any relevant medical or state laws from the proceedings and the judge told the prosecutor that he chose to take on this prosecution knowing that it was a medical marijuana case and that maybe he should have considered that before he took on the case. Also the judge at one point mentioned that the prosecution had carried depiction to the point of ‘nauseum’. The judge even at one point had forgotten the prosecutors name and asked is it ‘Koval’, ‘Kowel’ and the prosecutor corrected him stating “Kowal”. Defense attorneys jumped in at this opportunity and asked the prosecutors to indicate how much longer they would require till they completed their case. Prosecutors indicated they only needed one and a half hours more. It is expected that Charles C. Lynch will take the stand in his own defense on Wednesday and will talk about his experiences related to opening and operating the dispensary. Lynch is also expected to discuss the much anticipated details of his calls to the DEA and how they affected his decision in opening the Central Coast Compassionate Caregivers in Morro Bay. Reporters from LA Times, New Times of San Luis Obispo and Reason.tv were there today taking notes. Also reason.tv appeared to have taken video of Lynch with his mother and sister and other members of the public. 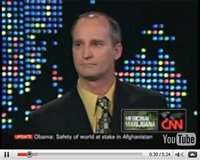 The trial of Charles C. Lynch, former owner of the Morro Bay Medical Marijuana Dispensary, Central Coast Compassionate Caregivers, goes nationwide today as CNN began airing the story on CNN Headline News. The video features Lynch’s sister Amanda, John Littrell one of Lynch’s Attorneys, Morro Bay City Attorney Rob Shultz and a patient of Lynch’s named Elaine McKellips. Lynch is shown in the video shortly after the Raid of the dispensary and walking with his Federal Public Defender Attorneys Reuven Cohen, John Littrell and Guy Iverson out of the Federal Court house. CNN reporters and artists have been attending the trial which is in Los Angeles. The trial resumes at 11am Monday August 4. The case is expected to go to the jury for deliberation later that day. It is unknown how long the jury will deliberate to determine Lynch’s fate. Reason.tv has been following the story closely also with reason.tv staff members attending the trial daily. 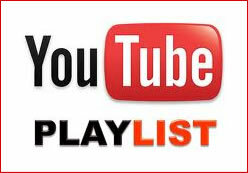 Click the following links to visit the Reason.tv website. Defense team worked through the weekend trying to get Lynch's 'prior consistent statement' regarding his calls to the DEA into evidence. The evidence was a radio show recording dated in January 2006 with a reference to Lynch's calls to the DEA and what they had told him regarding opening a dispensary. Judge Wu denied the recording into evidence. Later that morning the Defense continued it's case by calling in mothers of patients who were Designated Primary Caregiver's for their own children who obtained services from Lynch's dispensary. The mothers testified that they had attempted to 'grow their own' but found the process challenging and all of their attempts had failed. Just before noon the defense rested it's case and Lynch's attorney motioned for acquittal Judge Wu denied the motion and jury instructions were written to tell the jury how they could convict Lynch on the charges. One small set of instructions told the jury how they could find Lynch innocent on some of the counts on his entrapment by estoppel defense. After lunch the jury instructions were completed. Lynch had earlier referred to the jury instructions as a 'Death Certificate" because much of the evidence the jurors were told to ignore or didn't matter in this case. The jury entered the room and the prosecution gave it's closing statement. The prosecutors used an impressive Microsoft PowerPoint presentation to prove their case. Lynch was referred as the leader in the conspiracy to operate the 'Marijuana Store'. The prosecution repeated the word marijuana over and over again in a reefer madness tone: "Over 100 kilograms of Marijuana", "Over 100 Marijuana Plants", "Sold marijuana to minors", Marijuana", "Marijuana", "you have to convict". The prosecution also accused lynch of lying about his conversation with the DEA and said the DEA would never say what they said to Lynch. John Littrell spoke the closing statements for Lynch's defense giving a heart felt story about how Lynch was a Law Abiding citizen. Littrell told the jurors that Lynch was a simple man and it was impossible that Lynch was making up his calls to the DEA. He talked about Lynch's entrapment by estoppel defense and how Lynch could never have imagined or thought up that he would be sitting here today claiming 'entrapment by estoppel'. The jury seemed sensitive to Littrel's statements. Littrell mentioned that after reopening that the Sheriff had gone on TV and said that they had returned the keys to Lynch and he could do as he pleased regarding reopening the business. Judge Wu quickly stopped Littrell and called a side bar. The judge reprimanded Littrell for talking about things not in evidence yet when Lynch had testified he had mentioned the TV report. The judge didn't remember any of that and warned Littrell he only had a couple minutes left. Before long the Judge told Littrell 'its over' and abruptly ended Littrell's closing statement. David Kowal the main prosecuting Attorney for the Government got the final statements and continued at tearing down Lynch's defense and his integrity. Kowal asked the jury if they could believe Lynch and then wrote "NO" on a yellow legal pad and used the projector to display the message on the big screen TV's before the jury. An outburst of laughter from the audience made Judge Wu interrupt the proceedings and warn the audience that laughter would not be tolerated. Finally the indictment and 41 jury instructions were read to the jury. They were then ordered to the jury room to begin deliberations at about 4:30pm.